The name of the boutique winery doesn’t bring up visions of Coors beer. 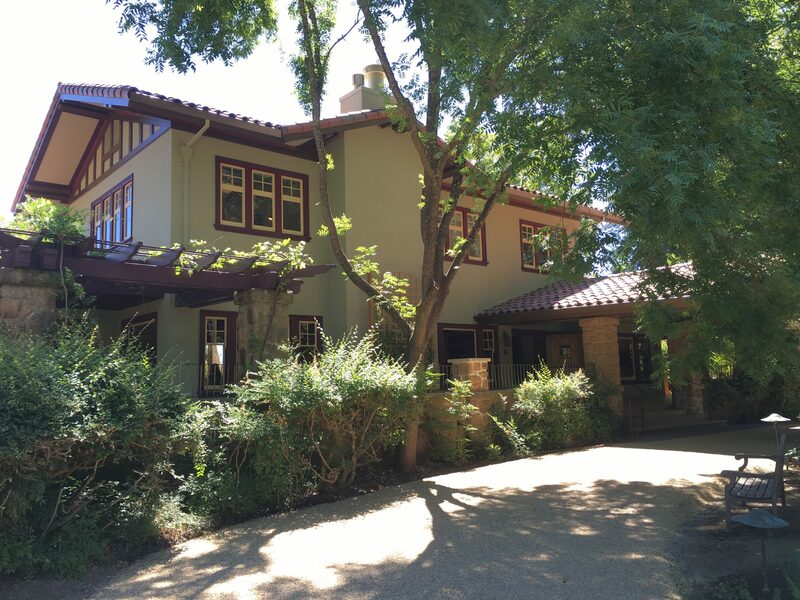 But the great, great granddaughter of Adolph Coors purchased the winery and brand in 2013. Christi Coors Ficeli dutifully worked for Coors for 13 years. But after college she worked for wine giant Gallo and is a self-proclaimed wine lover. Her mission? Lead the Goosecross team in world class hospitality and wines. The inside-outside ambience and warm welcome by the staff portend a unique tasting adventure. Winemaker Bill Nancarrow, formerly of Duckhorn, crafts a rich, complex sauvignon blanc and a smooth merlot. Coors Ficeli recommends her cabernet franc with her “house palate” of spicy, herbal notes. The cabernet sauvignon is also exceptional. Tastings are appointment only. Long before sustainability was the buzzword, Joseph Phelps designed his Rutherford winery in 1973 with many natural elements such as the redwood trellis at the entrance repurposed from a railroad bridge. Renovations completed last year included adding a kitchen and adding large windows in the tasting rooms. Though called the Great Hall, the redesigned entrance area resembles a spacious living room. Seated tastings, several with wine and food pairings, are held in the Founder’s Room or Oval Room—named for the row of majestic oval tanks overlooking the terrace. Table seating on the terrace overlooks what the Phelps family has called “our private valley.” The secluded deck is an oasis from other busy tasting rooms. During the “Exceptional Wine Experiences,” you can blend the signature wine Insignia, discover the differences among single vineyard wines, or explore wine and cheese pairings. Don’t forget to sample the Phelps Quarter Moon Vineyard Pinot Noir. On August, 2014, Napa Valley was hit by a major earthquake, and Trefethen’s historic winery experienced major damage. 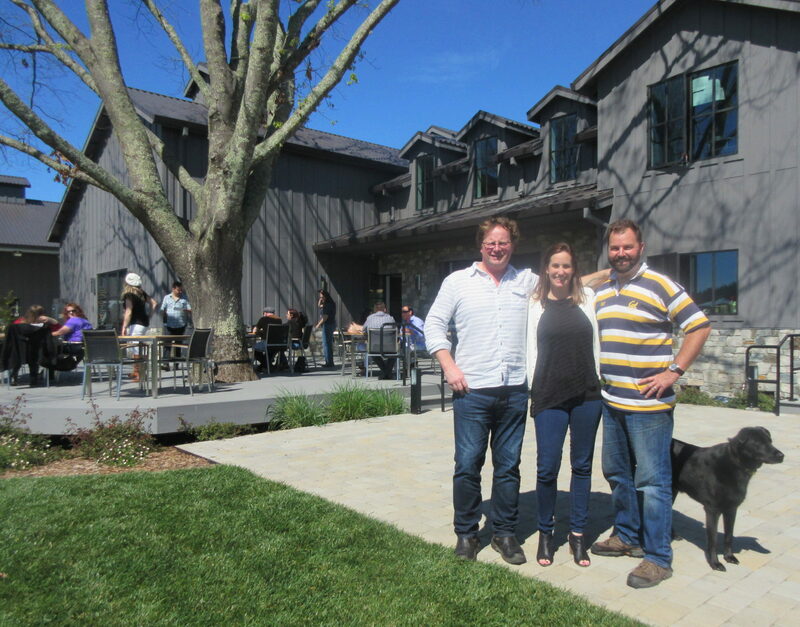 As repairs to the winery continue, focus turned to the new tasting venue in the former residence of the Treflethen family. Named Villa Trefethen, the restored 1920’s-era building reflects the original Arts and Crafts Movement design. The surrounding gardens and original open floor plan create a welcoming ambience. Trefethen’s signature wine is cabernet sauvignon. But try Dragon’s Tooth red blend honoring founder Catherine Trefethen’s Welsh heritage; the Welsh flag showcases a similar dragon which symbolizes the country’s victories. The wine intrigues with blackberry, cinnamon, spice and vanilla notes. The Villa is open by appointment. Consider the “Summer Twilight” tasting for a unique seasonal experience. 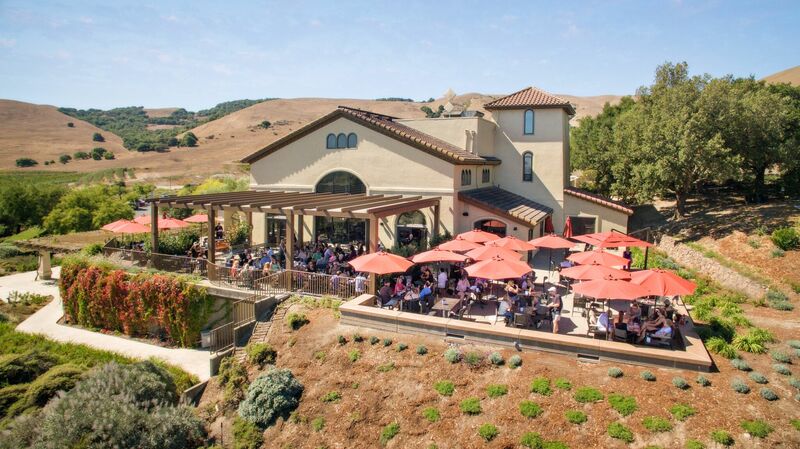 For a taste of Spain in Sonoma, visit Gloria Ferrer Cave and Vineyards. 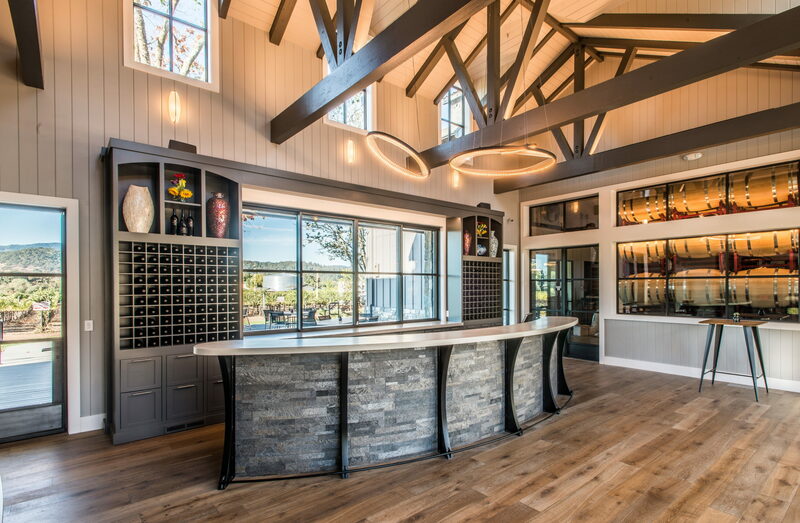 Owned by the, producer of famed Freixenet cava sparkling wine and others, the thirty-year-old Gloria Ferrer tasting room was recently renovated and expanded. The new layout with contemporary furnishings and floor-to-ceiling windows takes full advantage of the view of the stunning Carneros region vineyards. 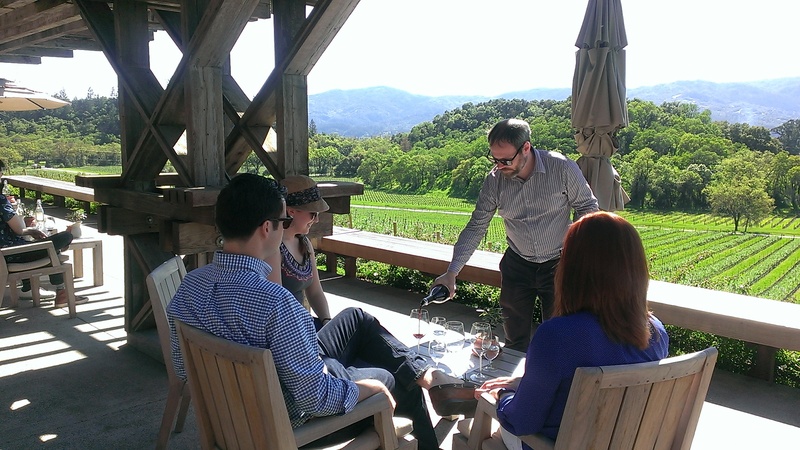 For all-season outdoor tastings, the revamped Vista Terrace boasts a covered perogola, lighting and heaters. Tastings are seated, and a menu of Spanish and local cheeses and gourmet charcuterie are available. For sparklers, consider the refreshing Brut Rosé or VA de VI with a slightly sweet finish. Gloria Ferrer, the wife of current proprietor José, loves wine glasses, and 100 of her prized collection are on display—artistic talents are evident in each piece. Tours include “Bubbles and Bites” with sparkling wines and seasonal food, the “Glorious” which delves into the grapes, and a “Taste of Spain” which presents exceptional wines from Morlanda and Mas de Subria wineries in the Ferrer Family Wines Spanish collection. 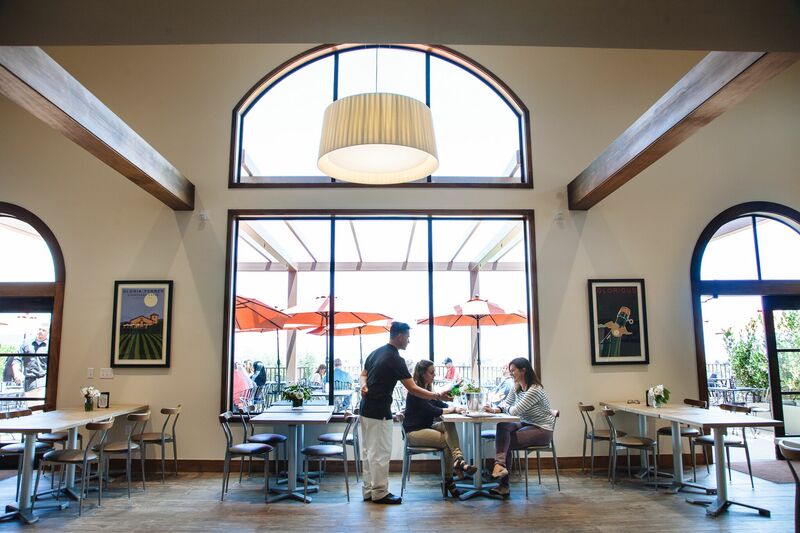 A few miles off the main road to Healdsburg, the drive up the winding, hilly drive to Jordan generates a feeling of anticipation. The majestic building housing the main tasting room and production create a Mediterranean atmosphere. 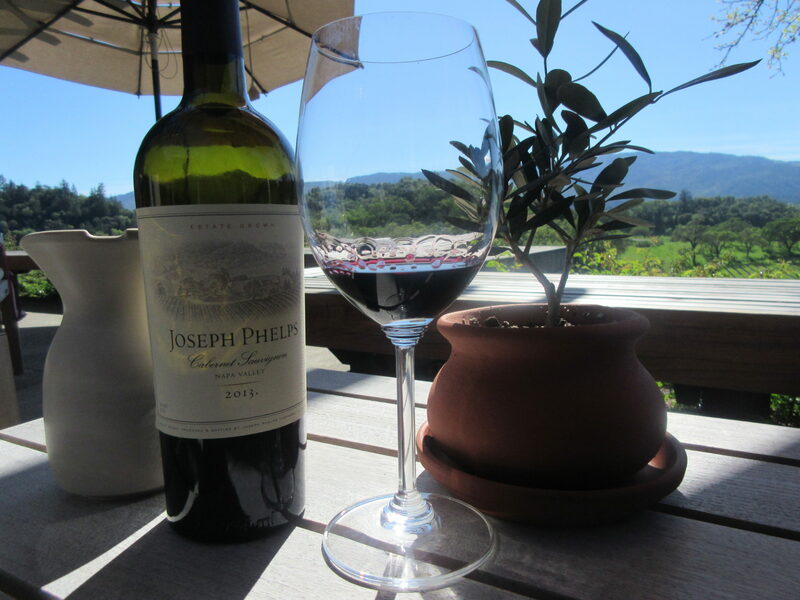 Many are familiar with the outstanding reputation of Jordan cabernet sauvignon, crafted by Rob Dais, a protégé of wine country legend André Tchelistcheff. A new offering at Jordan is the revamped Vista Tour which fittingly begins in the Bacchus Courtyard outside the Winery Chateau. It doesn’t take long to experience the founders’ philosophy on food, wine and hospitality. 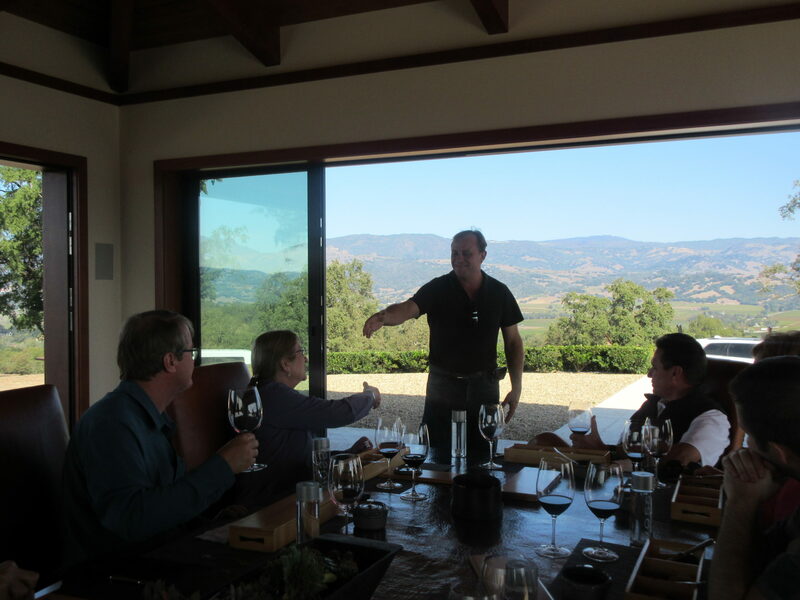 Second generation John Jordan often joins guests at the final stop of the Vista Tour in the hilltop Pavilion overlooking the estate vineyards. Jordan’s enthusiasm to make guests comfortable is catching. So is Chef Todd Knoll’s food. A former chef at the San Francisco Ritz-Carlton, Knoll may serve locally raised pork and mushrooms with heritage grains to pair with the Jordan cabernet sauvignon. 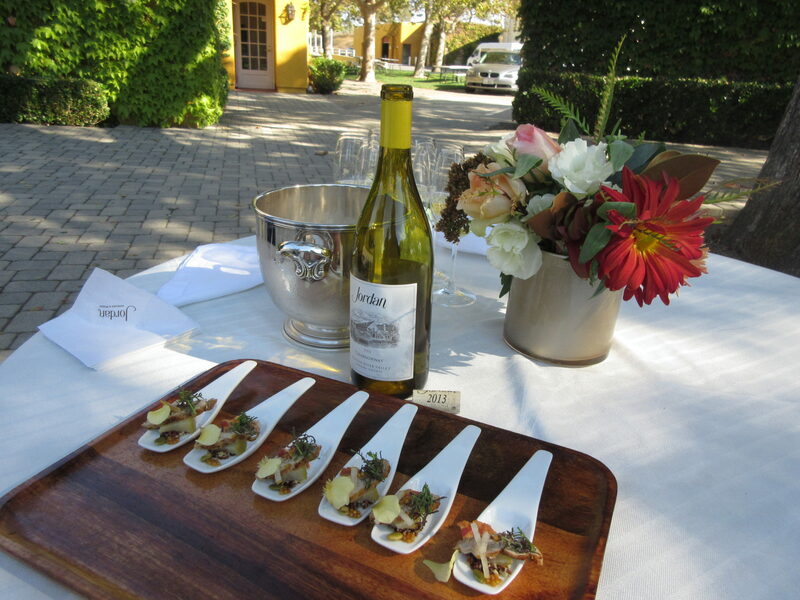 Earlier in the Vista Tour, you stop at Seven Oaks picnic area, Knoll may offer vegetarian sushi “nigiri” of grilled fennel, citrus and preserves from the estate’s organic garden with chardonnay. The “Estate” experience is also delicious and informative. 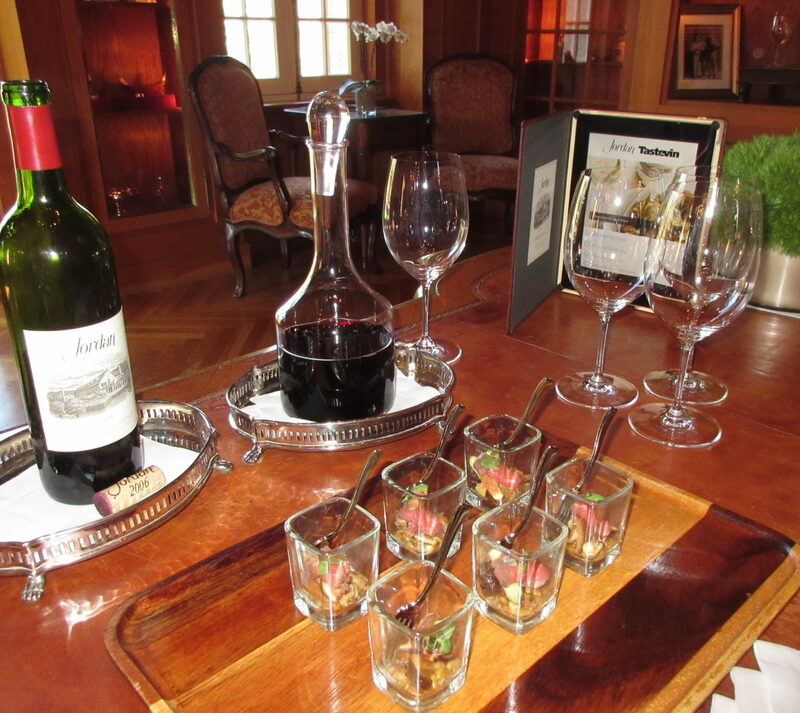 A new and refreshing experience awaits you in Napa and Sonoma with a plethora of good wine and food.